Related coverage: <a href="https://thegoldwater.com/news/31596-Elon-Musk-Apologizes-After-Tesla-Stock-Takes-Hits-Over-His-Trolling">Elon Musk apologizes after Tesla stock takes hits over his trolling</a>. This is not Mr Musk’s first faux-pas on social media, but the difference is that this time he could face serious legal consequences. Mr Musk’s twitter announcement on the buyout could look like stock fraud if they do not out the offer to a vote. Tesla stock has been halted pending a press release which the market eagerly awaits. Related coverage: <a href="https://thegoldwater.com/news/31367-Musk-Calls-British-Cave-Diver-Who-Criticized-His-Sub-A-Pedo">Musk calls British diver a pedo</a>. Mr Musk has complained about the market price and about short sellers given that his company has been in the market a lot recently when it comes to the non-delivery of his Model 3, the first model to be intended for mass market, the Tesla layoffs and, Mr Musk’s social media chaos which has gotten him into trouble before. Several investors have called upon Mr Musk to steer clear of social media and simply focus on his companies instead. 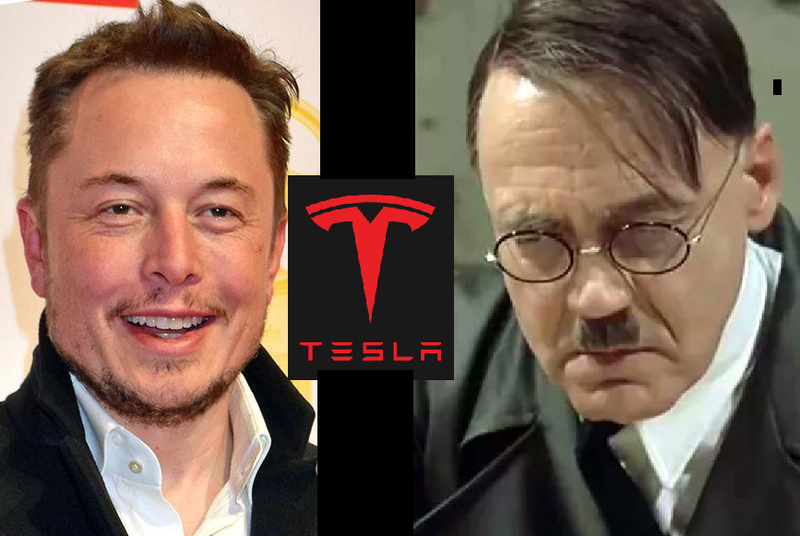 Over the weekend, Mr Musk had tweeted a video parody of Hitler "Shorting Tesla Stock," which targeted his foes. Business analysts on Bloomberg and the Financial Times were lost for words. In the video, Hitler learns that Model 3 production has increased and Tesla shares are gaining. He, therefore, orders “Chanos, Einhorn, Spiegel” to stay and everybody else to leave the room, referring to vocal Tesla short-seller fund managers Mr Jim Chanos and Mr David Einhorn. Is harvey pitt actually steve carell or did they mess up that photo? "Don't get involved with the stock market, not only is it highly rigged for insiders, if you do have access to other insiders and get tipped off on a sure deal, the feds will use it as blackmail if your in industry or politics. They keep their investors in leashes. You want a real safety net and good investment? Gold, silver, hard assets and property." Theres a REAL insider tip. Using Hitler and the SS to try and sell your cars takes nazi sympathizer to a whole new dimension.